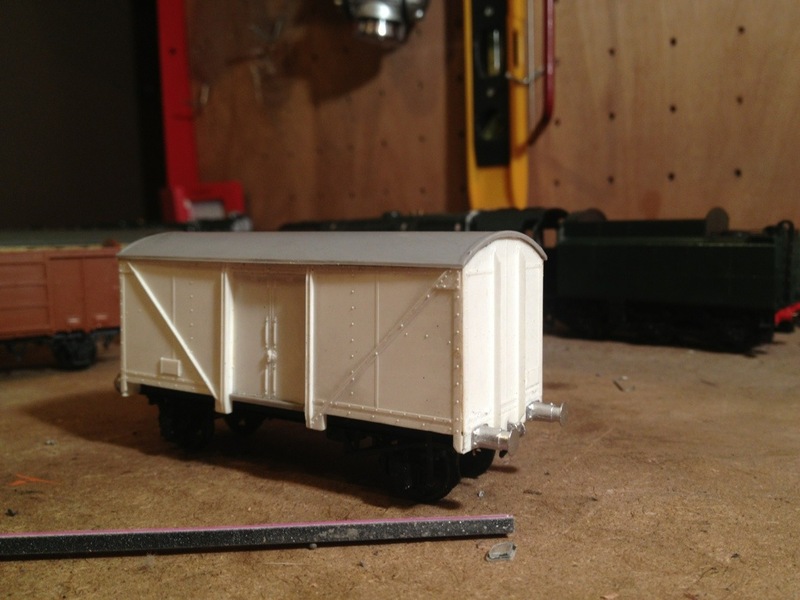 Since I’ve been about fourteen, I’ve enjoyed building wagon kits and when the opportunity came to swap some items with a friend of mine, it was too good to pass up. As a result, a large number of half built and unbuilt kits came into my possession last week. I’ve been finishing off the part- builds first and some are shown here. 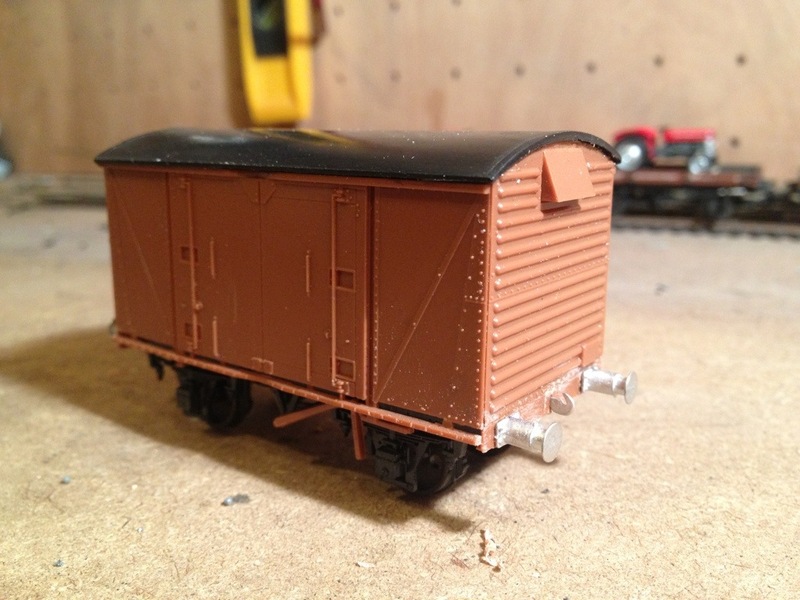 I have added Lanarkshire Model Supplies (http://www.lanarkshiremodels.com/)buffers and drawhooks to them. There is still plenty to be done to them and I’ll return to one or two in more detail later. You can see that the Medfit is intended to be in engineers’ service as most were by the mid-1960s, having a very short service career. 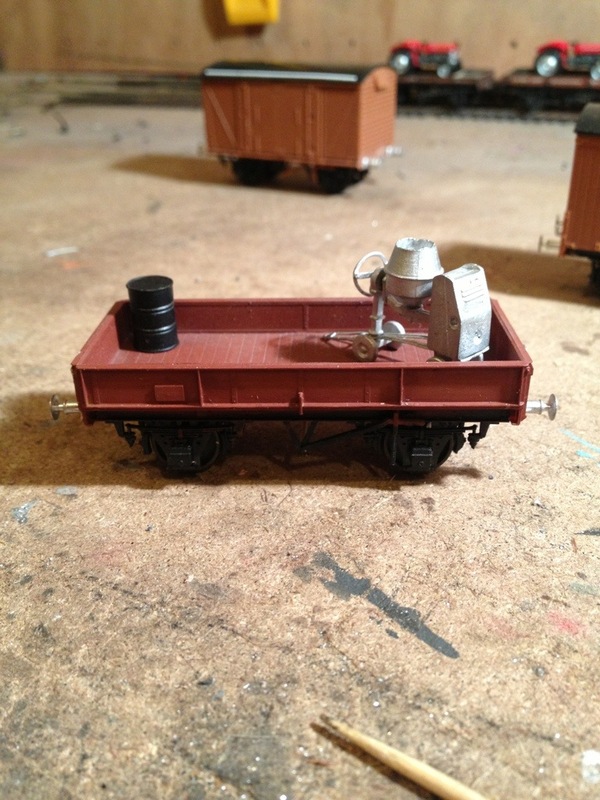 I’ll add more tonight but I have a real railway to attend to today at Whitrope! 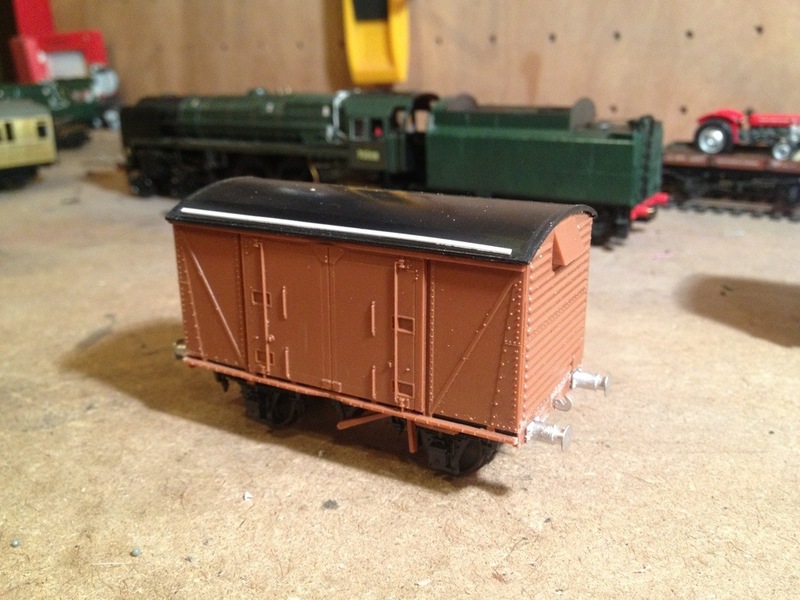 The Vanwide has received rain strips on the roof; something that adds greatly to the appearance of a model. In reality it was not a sophisticated item, merely a strip of thin timber clump nailed to the roof. I’ve got one above the door of my shed! 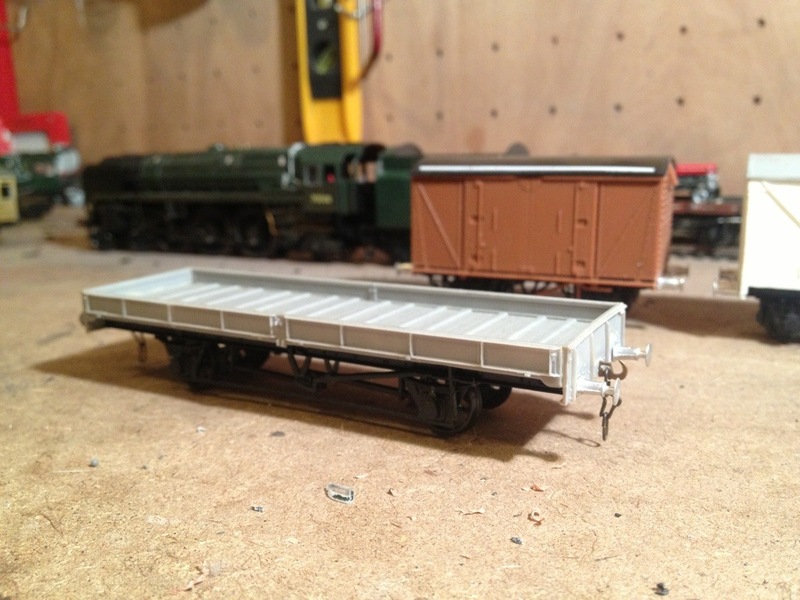 Among the other wagons are an un-fitted 21ton plate wagon and a 12ton Conflat A with A-type container. 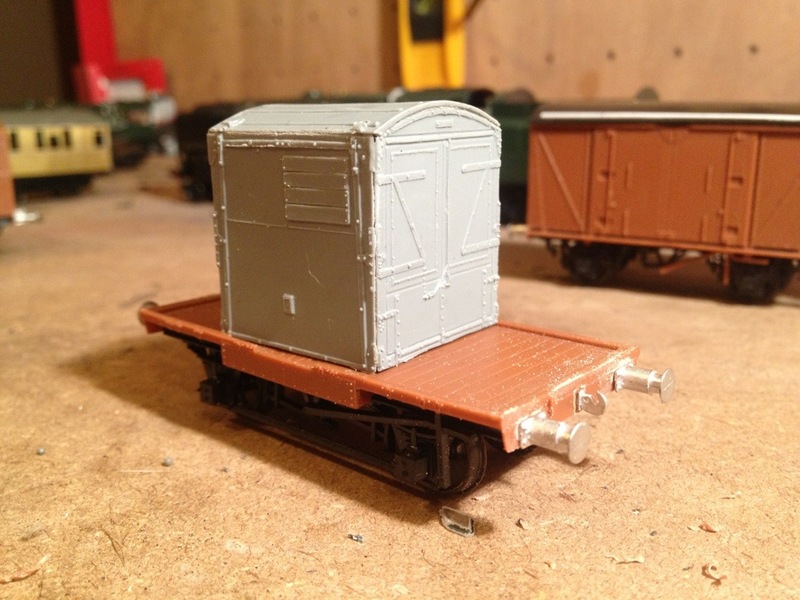 I had to hunt high and low before finding three of these Cambrian container kits only for Bachmann to reveal they were producing one about a fortnight after I found mine – cest la vie! 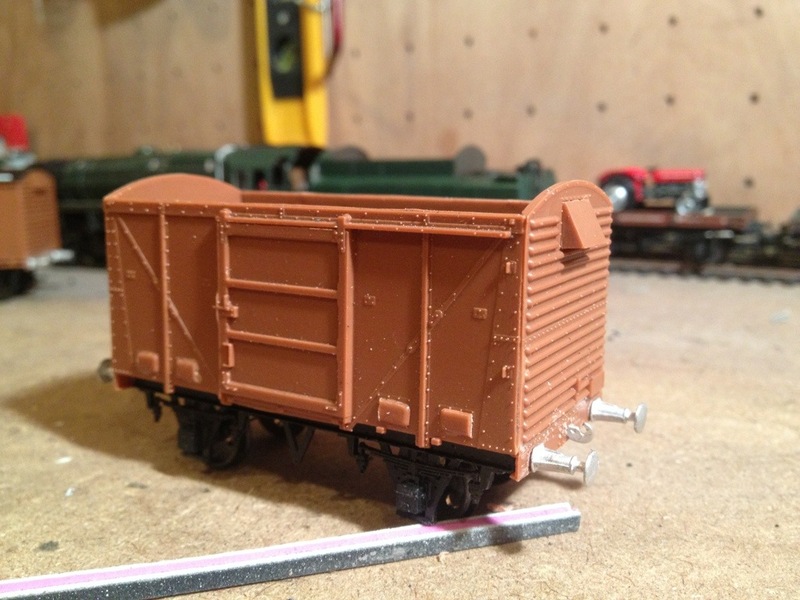 You can also see the difference the LMS Models buffer castings make to these kits. I really can’t recommend Dave’s products enough; they’re superb. 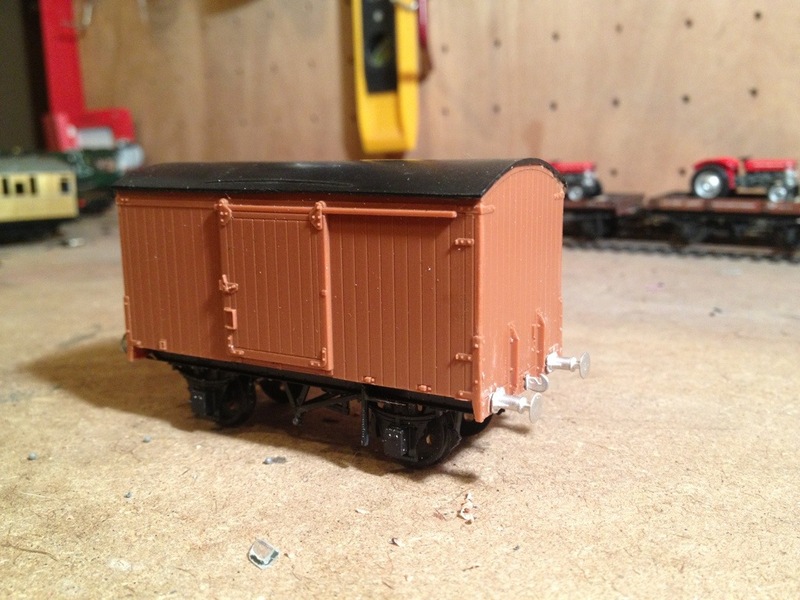 Finally, there is an ex-LMS designed Fruit Van. Despite their notional title, they could often be seen on general goods traffic out of season and increasingly so through the 1960s as road haulage operators bit heavily into this kind of traffic. I’m looking forward to getting these models painted up and if you’re all good I’ll outline the process on here! 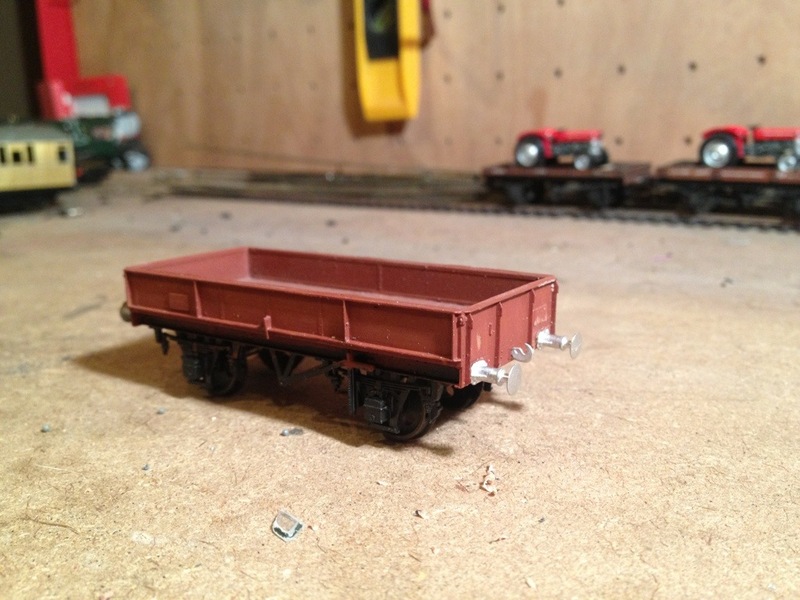 Very nice work, lovely wagons- who makes the cement mixer? That’s a Langley Models Benford mixer Tim. Nice little model. I’m waiting for some tools and a barrow and I’ll make some cement bags too for it.